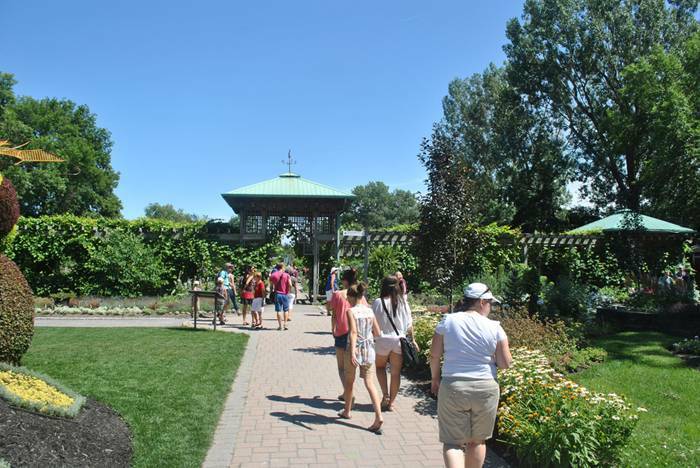 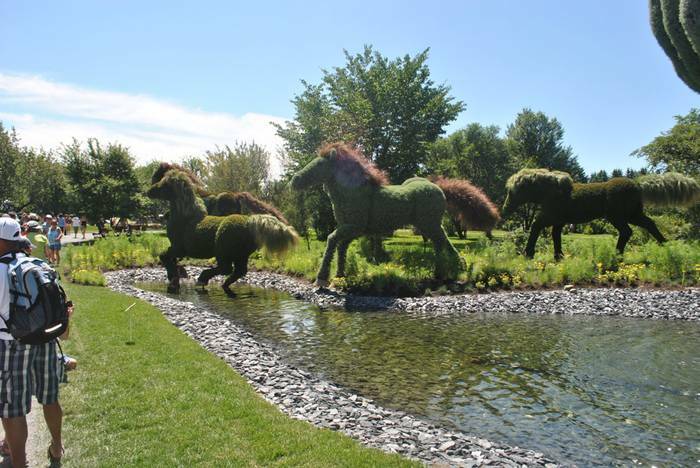 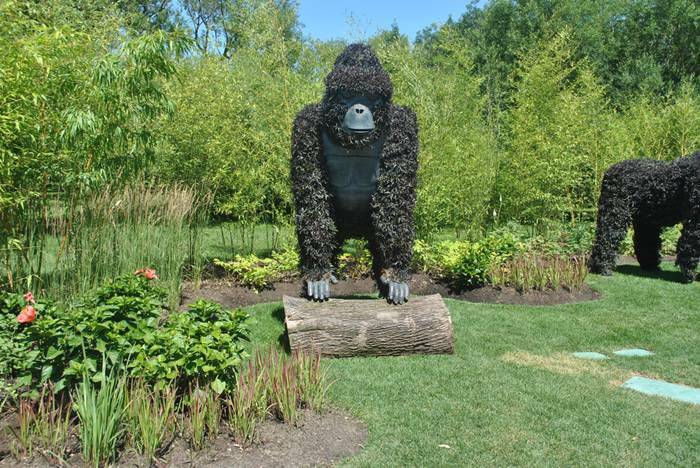 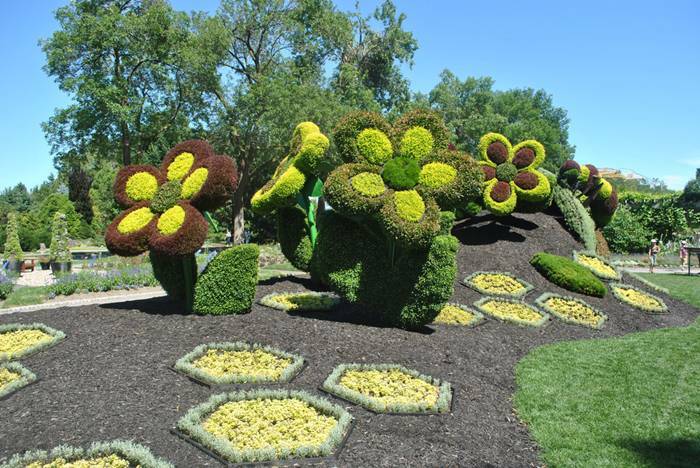 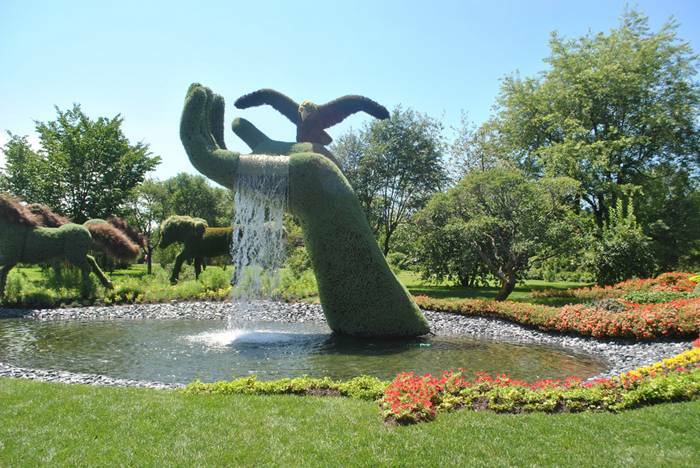 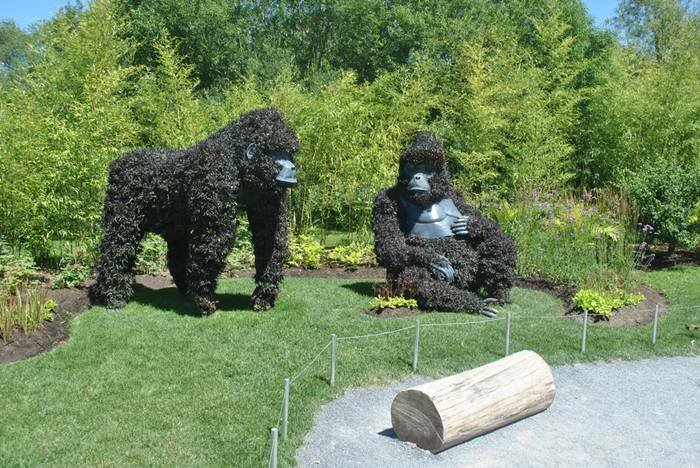 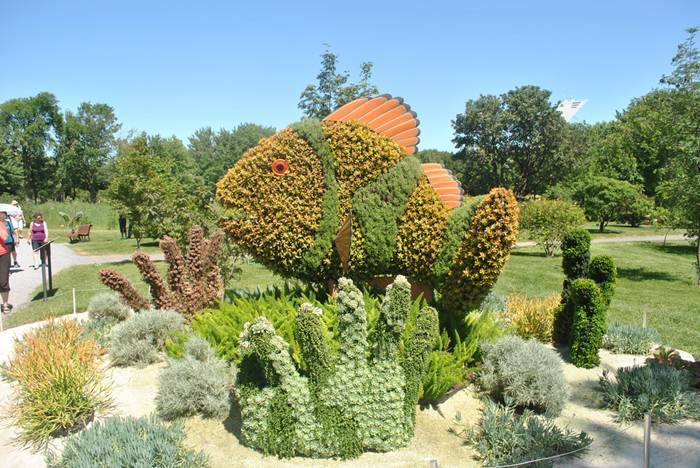 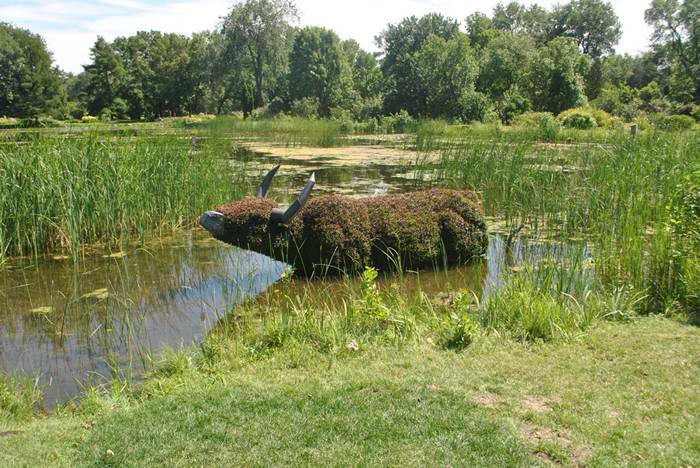 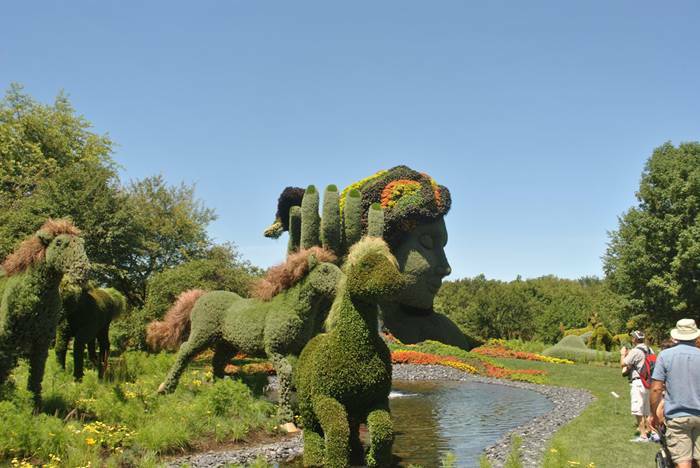 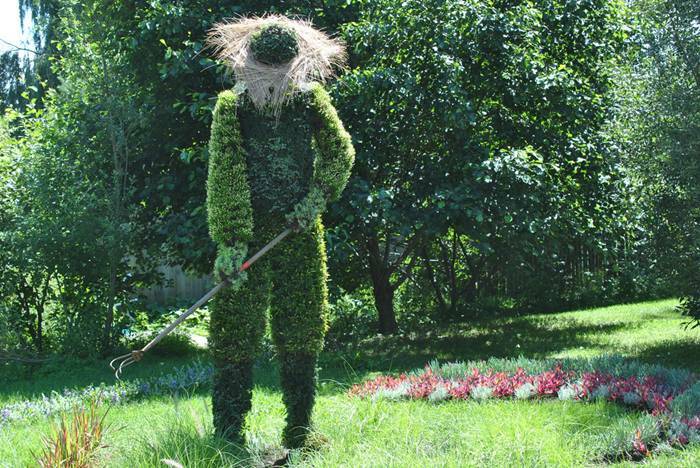 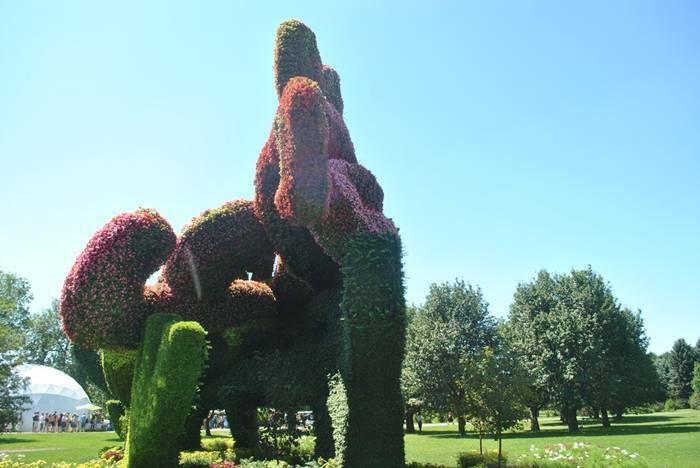 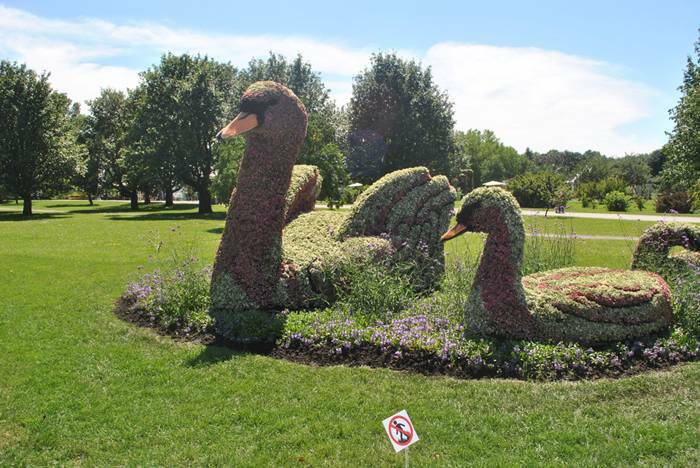 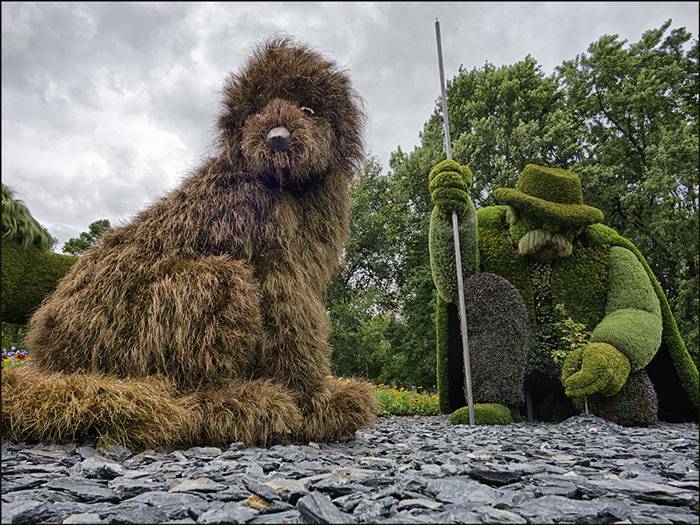 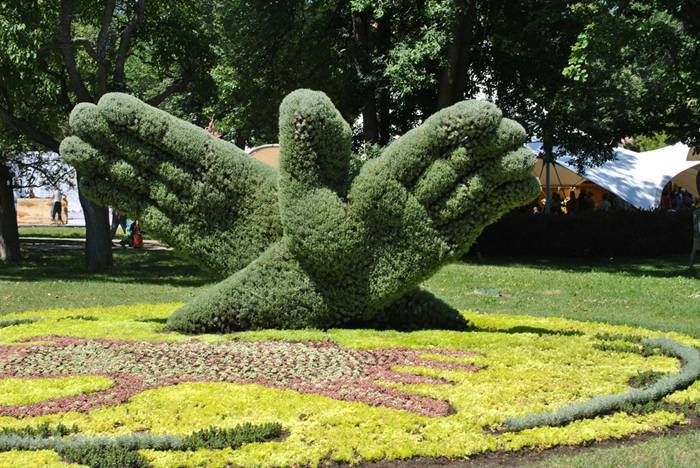 Even if you’re not into gardening yourself, the plant sculptures in the international Montreal Mosaiculture Exhibition will blow your mind. 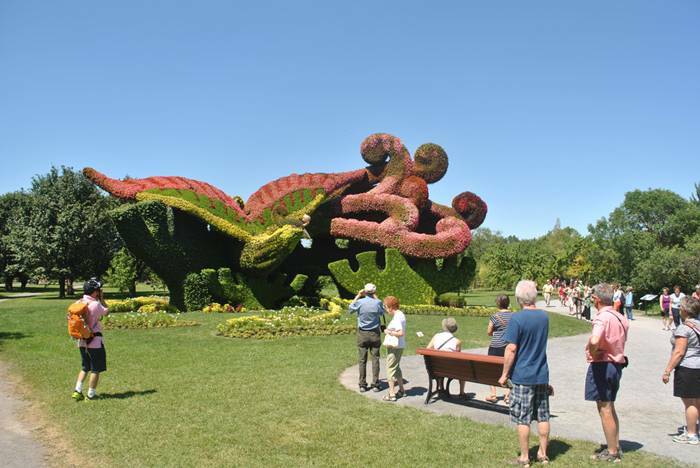 As defined in the official website of the event, mosaiculture “is a refined horticultural art that involves creating and mounting living artworks made primarily from plants with colourful foliage (generally annuals, and occasionally perennials).” It is also a highly complex form of art, requiring different sets of skills from all the participating artists: not only do they have to plan and build the framework of the sculpture and match the colors, it is also important to understand the maintenance of each plant they use. 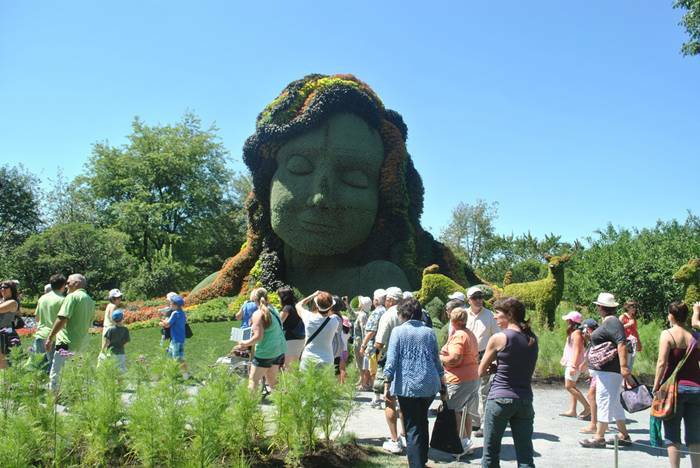 This year over 200 horticultural artists from all around the world present 40 living plant sculptures, created from more than 22 000 different plant species – over 3 million flowers overall! 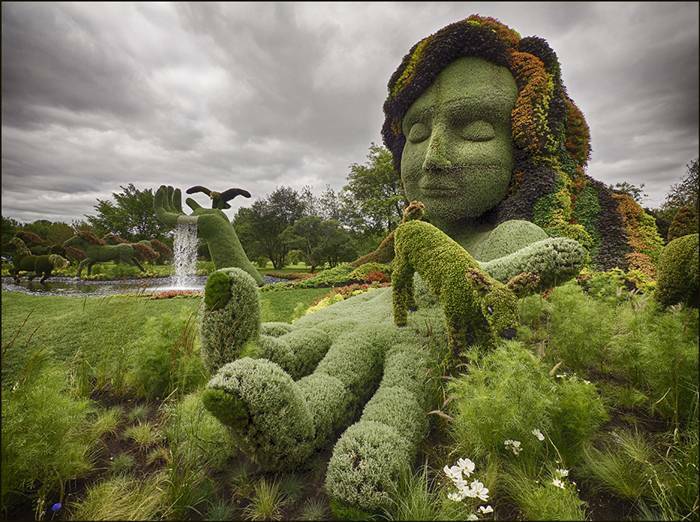 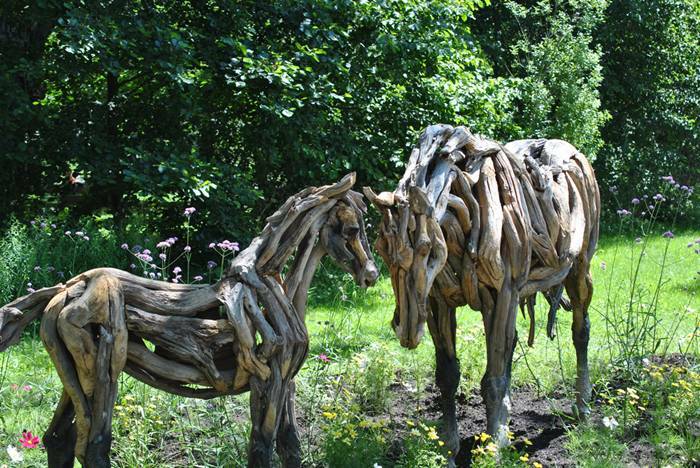 The sculptures will be showcased in 10 exhibition greenhouses and 30 themed gardens at the Montréal Botanical Garden until 29 September. 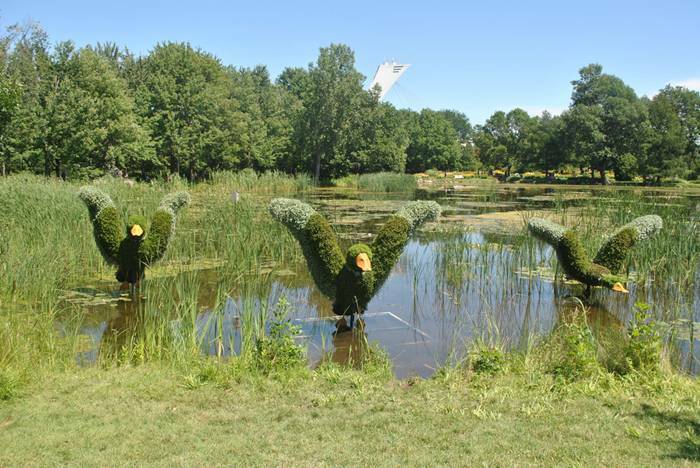 The competition also touches on ecology, challenging artists to work around the “Land of Hope” theme and interpret it in their sculptures from the ecological point of view. 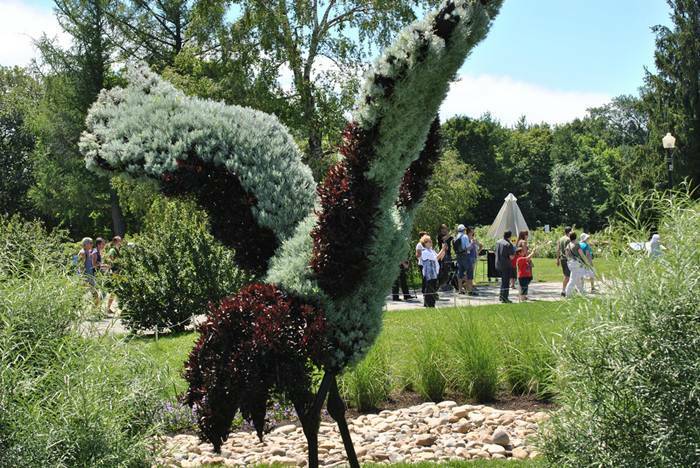 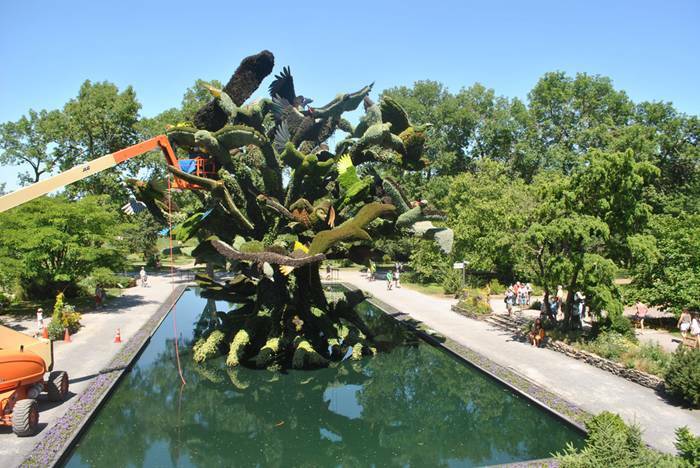 The Mosaïcultures Internationale competition was founded back in 2000 by Lise Cormier after her visit to China: this is where Lisa saw an enchanting 40-feet-high sculpture of 3 doves and was instantly inspired to bring the idea back home.